Click on the photos for an enlarged view, then use the back button to return to the list. 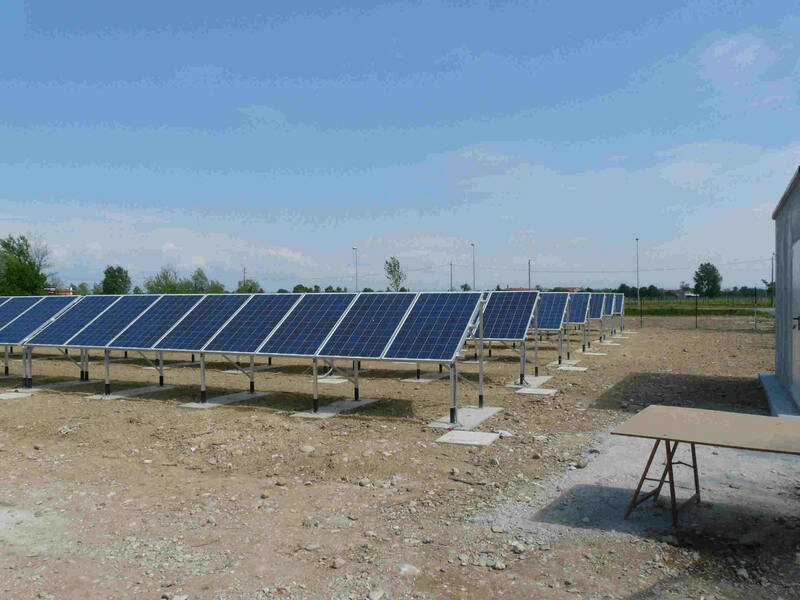 In 2011 we designed and built and now manage this 100 kilowatt photovoltaic plant in Portogruaro Italy. We have many years of experience in the design of homes and other buildings, using renewable resources, wood frame construction, passive and active solar devices, insulation, natural ventilation, and alternative building materials such as straw bales, and insulated concrete walls.